Every customer of Pomfort can now create his own Pomfort Account. 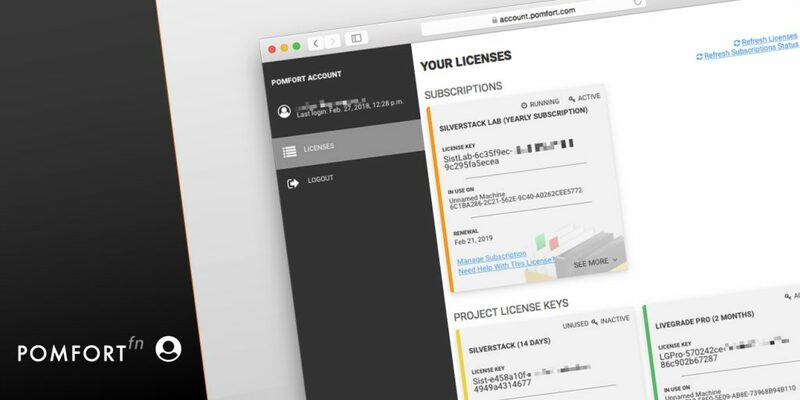 The Pomfort Account gives customers better control over their licenses by allowing to manage all purchased licenses in one overview. Important license details such as the current activation status can be accessed online. The Pomfort Account also helps with troubleshooting, e.g. through creating emergency licenses.